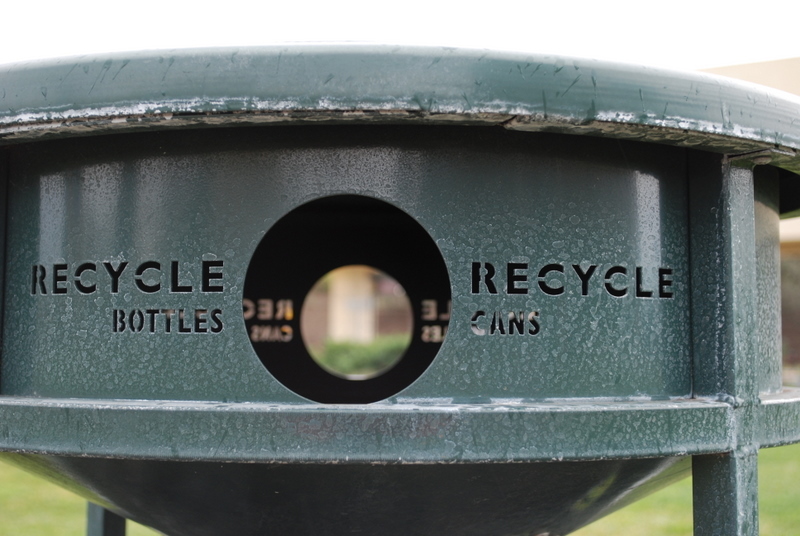 A quick walk around Miami University’s campus will lead you by an abundance of blue bins, presenting students with an easy opportunity to recycle their waste. But for students living off-campus, the situation is not always as simple. Senior Sammi Vaughan has had poor experiences with the recycling off-campus so far. On the other hand, Junior Erin Bannon has found her recycling capabilities in no way limited by moving off-campus. According to David Treleaven, Oxford’s Environmental Specialist, recycling is actually free to any residential building with four or less separate apartments. It’s already included in the Water, Sewer, and Refuse Bill. “You pay for recycling whether you use it or not… I’m of the opinion that students just aren’t aware that they can recycle,” claims an optimistic Treleaven. To get a recycling bin for your off-campus residence, call Oxford’s Utility Department and one will be delivered to your home, or stop in and pick one up at the Service Department on the first floor of the Oxford Municiple Building. For information, including what items can be recycled, students can visit the city of Oxford’s website. If you are living in an apartment complex that does not currently have curbside recycling, Treleaven recommends simply talking to your property manager and asking them to request it. Regardless of recycling efforts by off-campus students, Oxford is the leading city in Butler County for recycling percentage, with approximately 18 percent of waste being recycled. With approximately 11,000 of Oxford’s student body living off-campus, whether or not you recycle has a huge impact. That 18 percentage could potentially rise, if everyone made an effort to obtain the bins.